A ninth explosive device, a six-foot pipe bomb found at Colombo International Airport in Sri Lanka, has been successfully defused, following a series of deadly terrorist attacks that killed over 200 people on Easter Sunday. A letter warning of imminent terrorist attacks and sent to security forces 10 days prior to the Easter Sunday bombing spree in Sri Lanka has been made public, raising questions as to whether law enforcement failed to act on it. Some top Russian officials have expressed cautious hopes that the imminent presidential victory of Volodymyr Zelensky might improve the situation in Ukraine – and relations with Moscow. Others, however, remain quite skeptical. Comedian-turned-politician Volodimir Zelensky, set for a landslide win in Ukraine’s presidential vote, stayed true to character at his first press conference, dropping some flashy promises but refusing to go into boring detail. A series of devastating terrorist attacks that claimed the lives of more than 200 people are partially a result of the Sri Lankan security services’ inability to adapt to new security challenges, analysts told RT. Read Full Article at RT…. A series of devastating terrorist attacks that claimed the lives of more than 200 people are partially a result of the Sri Lankan security services’ inability to adapt to new security challenges, analysts told RT. The decision of Ecuador’s government to terminate Julian Assange’s asylum is “savagery” and has heavily damaged the dignity of the county, which caved in to the US as if it was its “vassal,” former FM Ricardo Patino told RT. 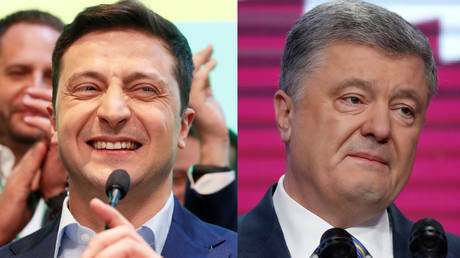 Ukrainian comic Volodymyr Zelensky is set to win the presidency in a landslide victory over incumbent leader, Petro Poroshenko, exit polls show. Zelensky has already been visited by police over violating one election law. Condolences from world leaders have been pouring in to Sri Lanka in the wake of a series of devastating attacks that hit the island nation during Easter celebrations. 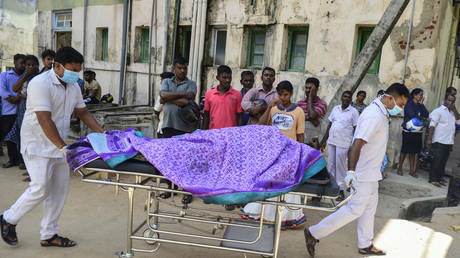 Seven suspects have been identified and arrested as the death toll from the horrific church and hotel attacks in Sri Lanka climbed to over 200, with no group claiming responsibility. RT sums up what we know so far of the tragedy.